Am I right? For some reason I seem to be one of those people that mosquitoes just love. Maybe my blood tastes like candy, I don’t know. Whatever it is, I’ve always had issues with getting dozens upon dozens of mosquito bites each year and on me, they don’t stay nice and small. They get huge a puffy and horribly itchy. Last year we changed things up in our outdoors routine though and didn’t have much of a problem with mosquitoes or even ticks. (In comparison to my parents who lived just down the road and pulled hundreds of ticks off their dogs.) Here’s some of the simple things we did for natural mosquito control. Wore jeans *most of the time* when we went out fishing. However we tend to fish in a river with sandy banks so our main enemy is flies there. Wore hoodies or jackets in the evening. Mosquitoes definitely get worse in the evening hours when it cools down a bit. We tried to stay covered as much as we could. I’m not sure what it was about it, maybe we were just lucky, but I used coconut oil as a lotion daily and something I used did seem to keep the bugs away (and I don’t use any other lotions or sprays on my skin). Those are just a few things we did that fit well into our everyday lives. 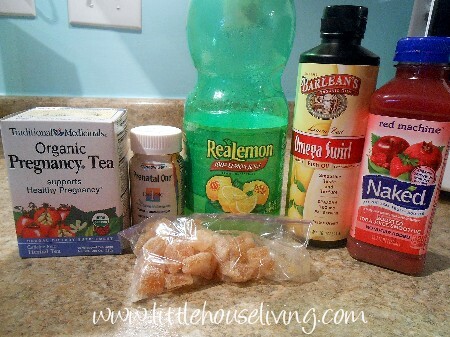 There are also these other alternatives that you can do also that are natural and help keep the mosquitoes away. Make your own citronella candles. You could either make Soy Candles, Beeswax Candles, or Olive Oil candles and simply add in drops of citronella oil as you create the candles. This method works ok if you don’t mind the smell of citronella and if you plan on staying in one place for the evening. Prevent mosquitoes from breeding around your home. Don’t leave standing water anywhere. If you have kiddie pools, empty them out when you are done. Don’t keep bird baths. Even puddles on the ground can be potential breeding grounds. Fill them with dirt and plant grass seed. Use garlic. This supposedly helps prevent ticks and mosquitoes from coming around you. 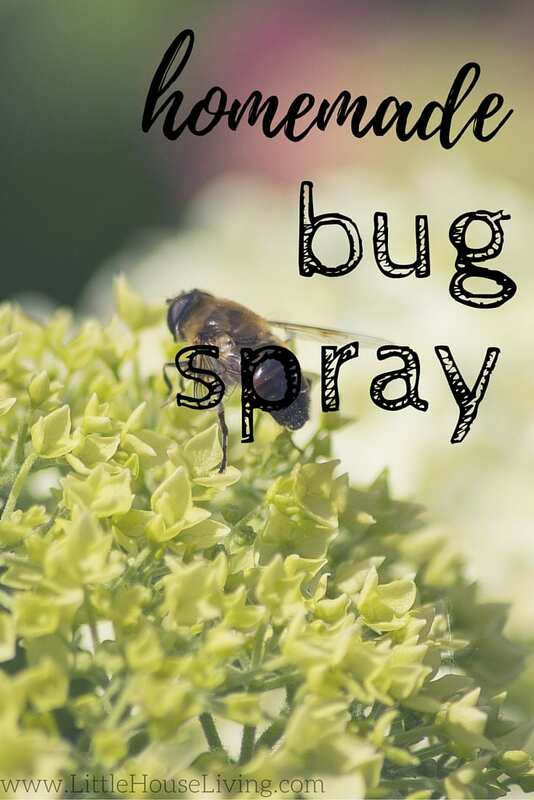 While not the best smelling thing you could use, it might smell better than traditional bug spray. Crush garlic and dab the juice on your skin. 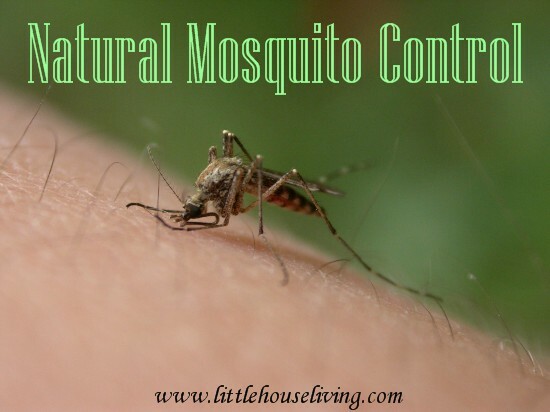 What are your favorite methods of natural mosquito control? What do you find to be the most effective? I favour Neem products to repel insects, also the bug eater, a type of lure and drown method for getting rid of mosquitoes that works a treat here in Australia. I favor keeping bats around. Mine are in the attic – I’m working on that but I hope not to get rid of them but convince them to use a bat house. Carmen, please be careful with bats in the house. While living in Panama, I had bats (unknowingly) in the attic, and I contracted Histoplasmosis, and it very nearly killed me. The bats will deposit guano on the surface where below where they sleep, and a fungus grows on it. Air moving through the space lifts the fungus spores into the air, and breathing them will cause the fungus to grow in your longs. Once there, the fungus destroys the lung tissue. Eventually your lungs will shut down and you suffocate. I had the fungus for about two months before a doctor from the Philippines recognized the symptoms (flu-like) and treated me, Had it not been for him I probably would have been in far more serious trouble. I now have a silver dollar sized scar in my right lung and reduced lung capacity as a result. Take care, please. Bats belong outside or in a cave, NOT in your abode.